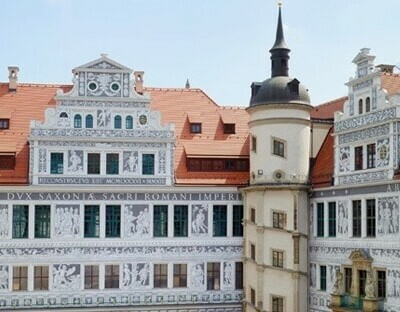 Since spring 2016, Sollingglas has delivered a total of 128 window elements with antique structures for the Residenzschloss in Dresden. The main challenge with this object is the uniform colour rendering of the exterior view. 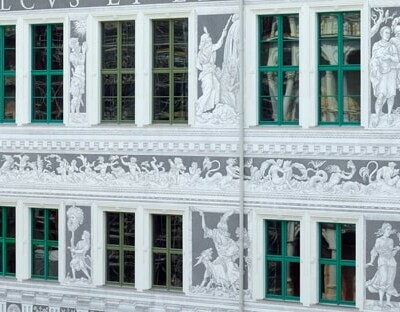 Parts of the castle had already been re-glazed and the new windows were to correspond to the already completed glazings. Together with an industrial partner, we have developed a glass coating that matches the colour of the panes already installed. The further processing to insulating glass with the corresponding safety specifications then took place at Sollingglas. The finished outer pane consists of a thermally deformed six-millimetres-thick Antiqua glass. The outer pane, which is attached by means of foil composite with UV protection films, has a heat protection layer which reflects the short-wave light of the sun. The toughened tempered safety glass also meets all requirements for effective burglar resistance. Dresden Castle or Royal Palace (German: Dresdner Residenzschloss or Dresdner Schloss) is one of the oldest buildings in the city center of Dresden. 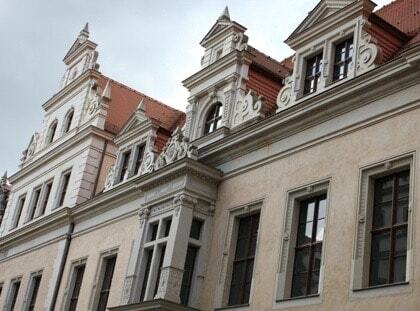 It was the residence castle of the Saxon electors (1547–1806) and kings (1806–1918) and from the 16th century onwards shaped the cultural development of Dresden. 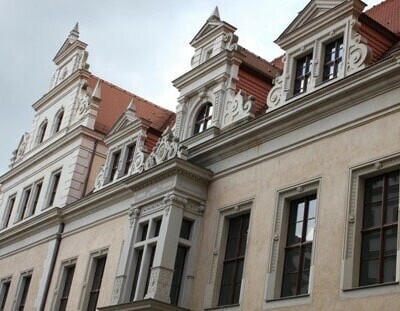 The Residence is one of the oldest buildings in the city and is significant in terms of architectural history, as all styles from Romanesque to Historicism have left their mark on the building. The castle which has been under reconstruction since the 1980s, now houses five museums: Historical and New Green Vault, Coin Cabinet, Copper Engraving Cabinet and Armoury with Turkish Chamber. 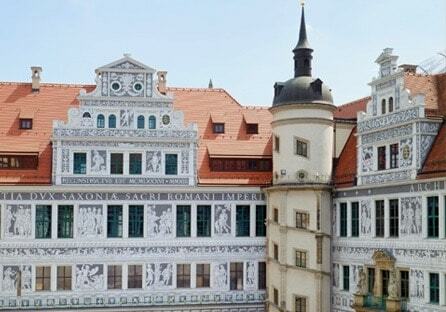 It also houses the Art Library and the General Directorate of the Dresden State Art Collections.